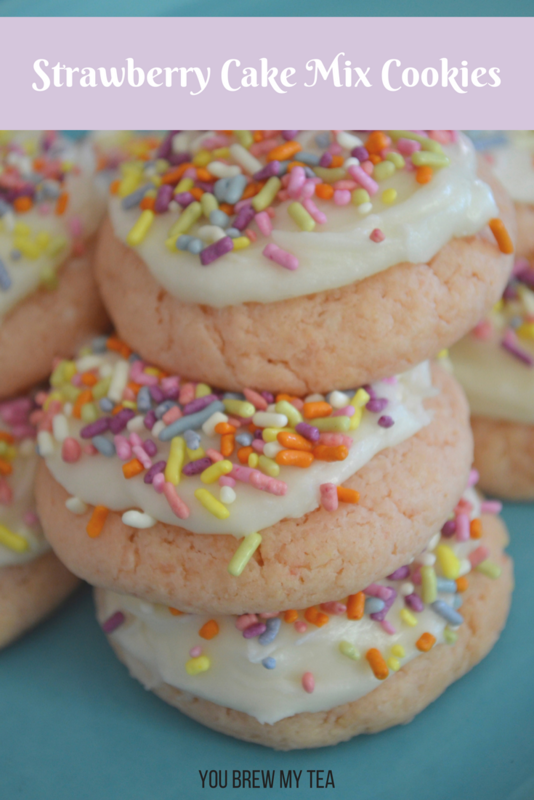 Everyone loves a delicious cookie, and these Strawberry Cake Mix Cookies are a perfect treat! They are super easy to make, very flavorful, and a perfect treat to go in the lunchbox or for after dinner. I substitute oil with unsweetened applesauce for a lower calorie option that keeps them moist and delicious! This post contains affiliate links. I earn a small commission from purchases made via these links. 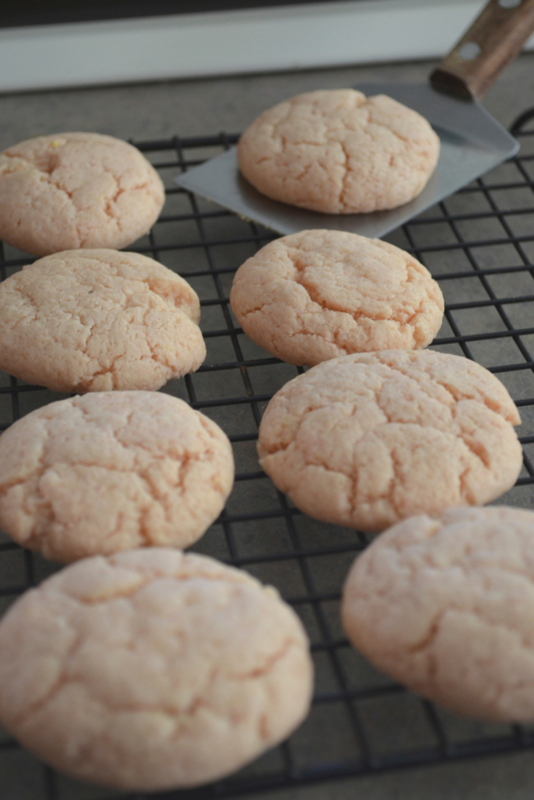 I use a basic strawberry cake mix for these cookies. You could use a sugar-free cake mix if you can find a strawberry flavored one, or potentially use a yellow cake mix and diced fresh strawberries. Both are great options that also give you low point cookies. Spoon onto prepared baking sheet approximately 2″ apart. Bake at 375 degrees for 10-12 minutes or until preferred doneness. Spoon onto prepared baking sheet approximately 2" apart. Note: We top them with 1-2 teaspoons fat-free whipped topping and sprinkles. A small amount of whipped topping is zero points! 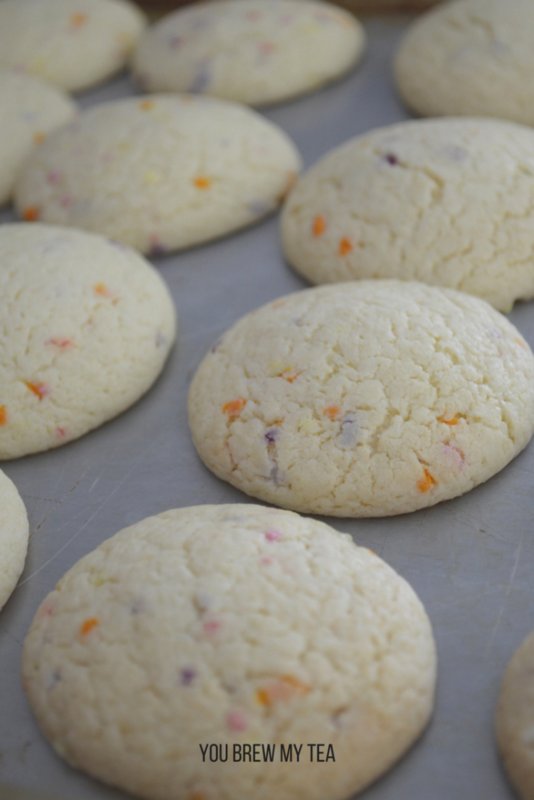 Making strawberry cake mix cookies for a special treat is a must. I love strawberry everything, and it’s so easy, even kids can make this one with you. 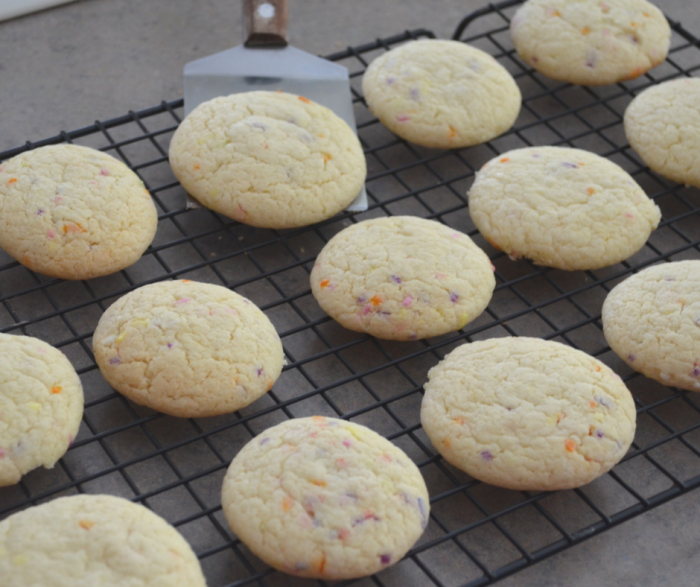 I love using a small melon baller to make scooping them out easy, and always have my wire cooling racks handy since this recipe makes a few dozen cookies. 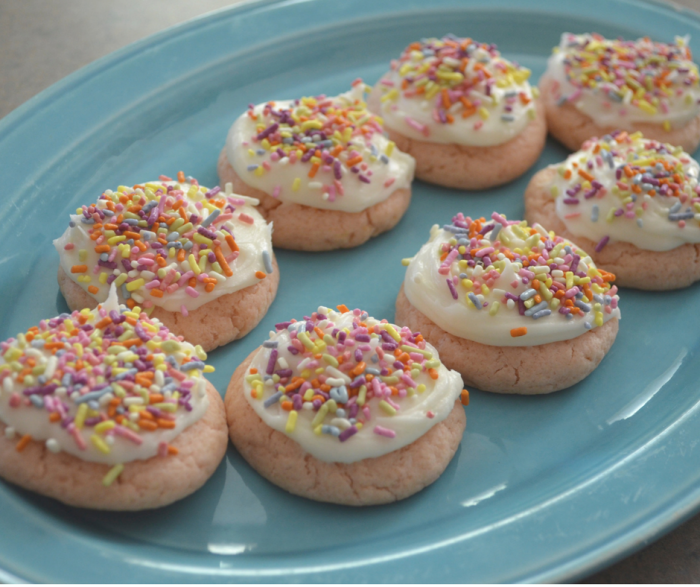 Everyone loves a good cookie, and kids especially will love these easy Funfetti Jello Cookies. 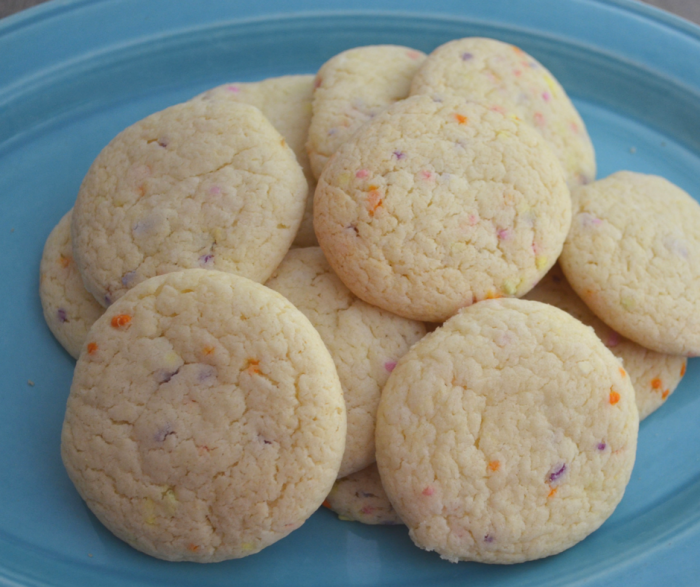 This is a great way to add some flavor to a sugar cookie dough, and using lightened ingredients makes it healthier for everyone to enjoy their favorite snack! We’ve always kept sugar-free gelatin in the pantry for a fast easy snack that is low in calories. 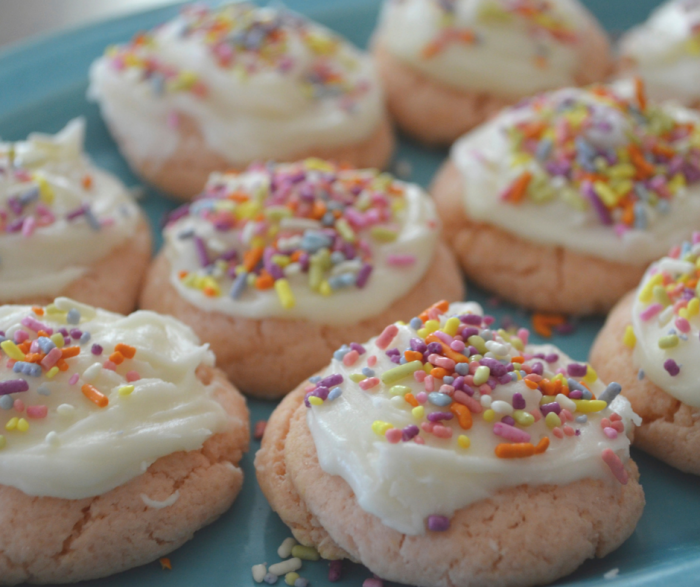 A few years ago, our friend Emilee made these funfetti cookies for us and shared the recipe giving us a completely new spin on cookies! They are pretty simple to make, and they are fun to play with flavor combinations! For hers, she used a gelatin without red dye since her daughter has allergies. For ours, we use whatever flavor we have on hand, but our favorites are citrus flavors. Preheat oven to 350 degrees and line 2-3 cookie sheets with silicone baking mats or parchment paper. In a large bowl, beat together butter, eggs, yogurt, vanilla extract, and Splenda until smooth. Sift flour, baking powder, salt, and gelatin powder into the bowl. 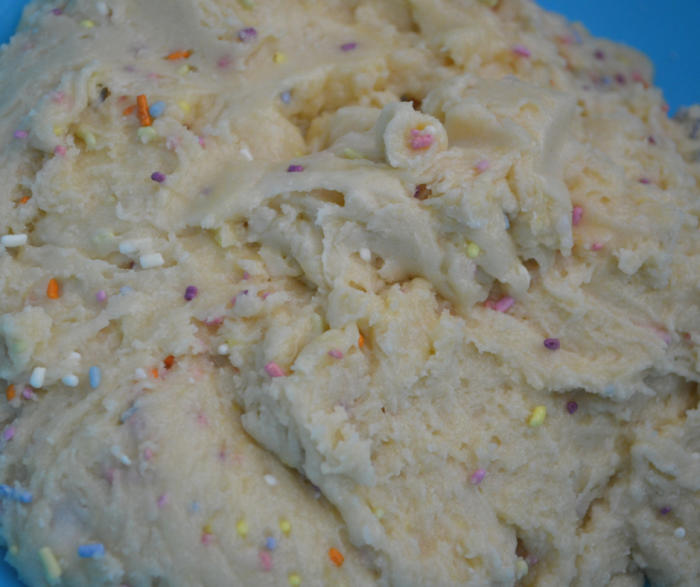 Stir until dough begins to form and then add in sprinkles. Drop by spoonfuls onto prepared cookie sheets. 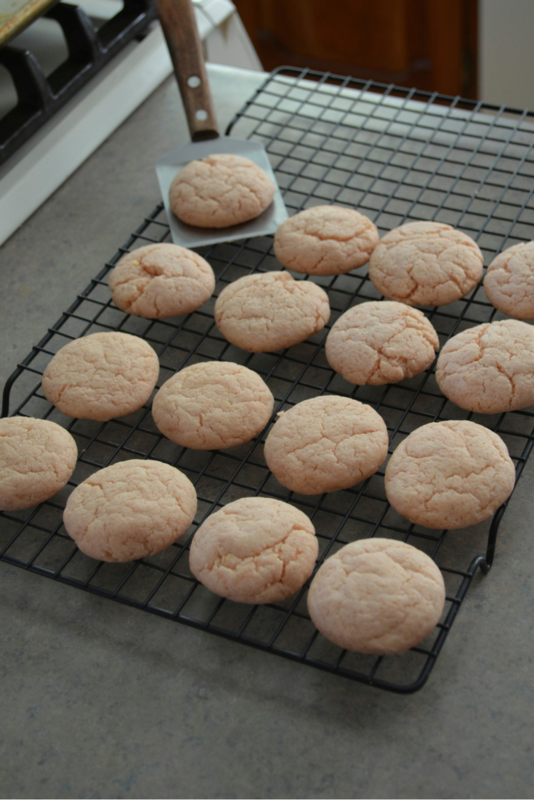 Bake at 350 degrees for 10-12 minutes or until preferred doneness (we like chewy cookies). 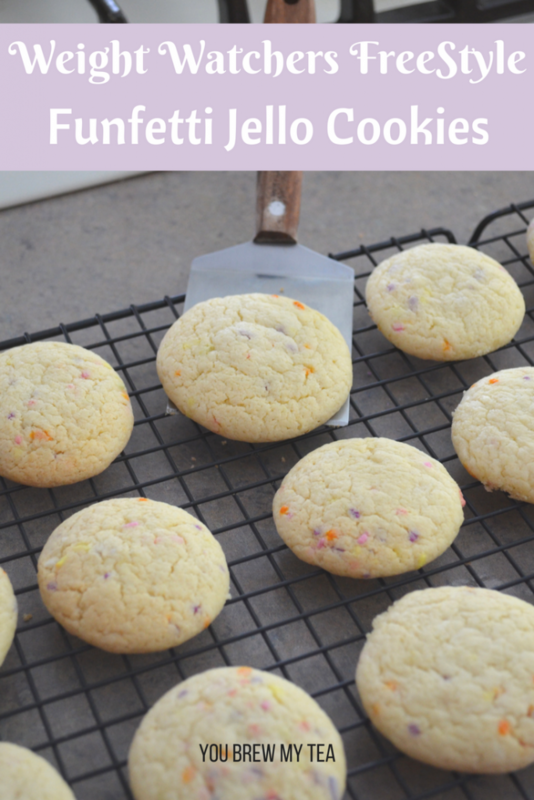 These easy Funfetti Jello Cookies are a great way to add a tasty snack to your meal plan this week. Each cookie is only 2 points on the latest Weight Watchers plan, which means they can easily fit into your menu plan and daily points allowance. The dough also freezes beautifully for use in the future if you only want to make small batches at a time.